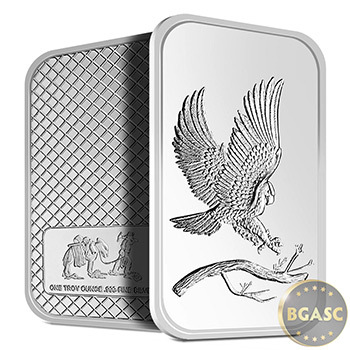 This 1 oz. 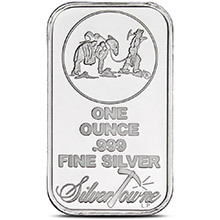 Eagle Silver Bar has had it's weight and fineness certified by SilverTowne. 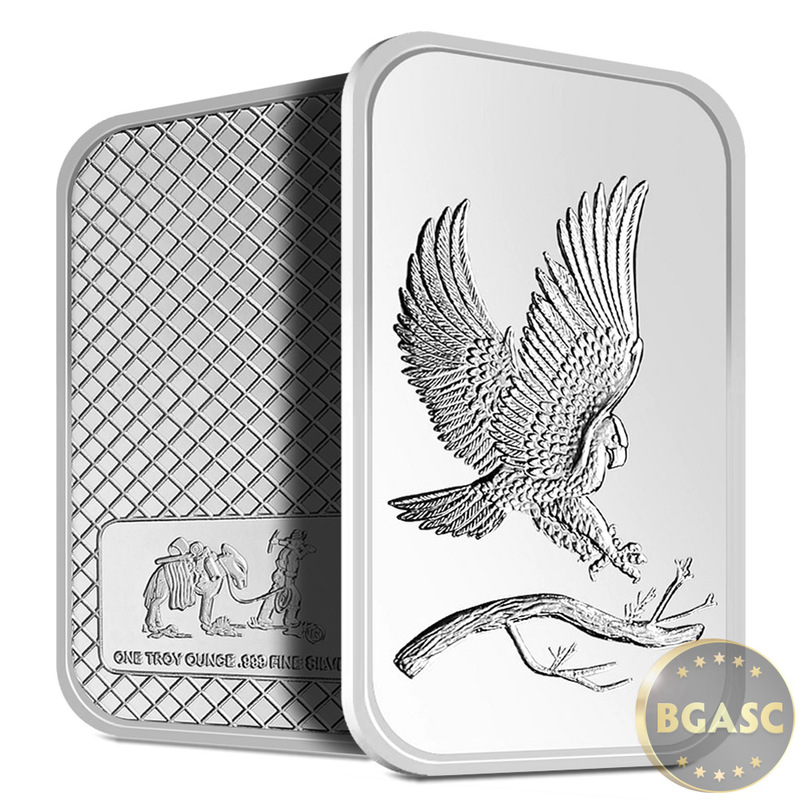 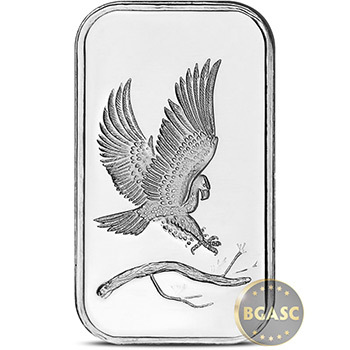 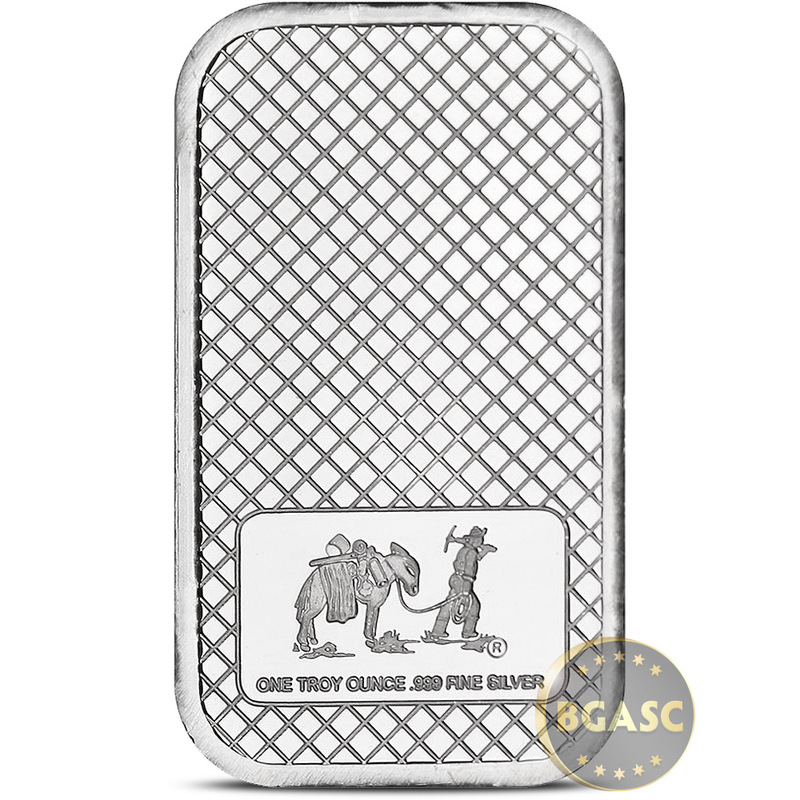 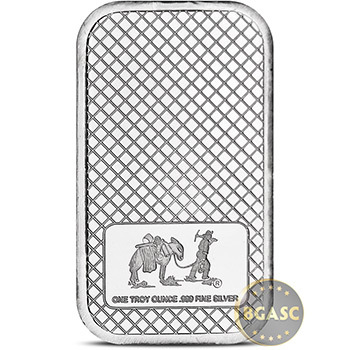 These 1 ounce Silver Bars feature a majestic Bald Eagle on the obverse and the classic Silvertowne Prospector trademark logo with the inscription "ONE TROY OUNCE .999 FINE SILVER" on the reverse along with the classic waffle pattern. 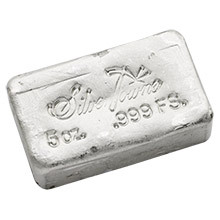 These silver ingots will ship to you sealed in mint plastic. 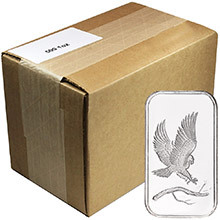 Quantities of 20 ship in uncut sheets.